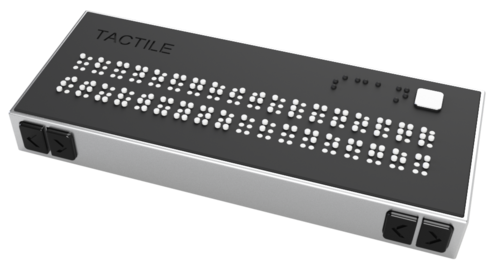 Tactile : Text to Braille in Real-Time « Adafruit Industries – Makers, hackers, artists, designers and engineers! MIT’s Team Tactile has invented an inexpensive real-time braille converter. Existing braille readers are designed to work with electric documents and are expensive. The goal of Team Tactile is to squeeze BOM and manufacture units for under $100. Tactile can convert printed documents to text. They have been shrinking the braille reader down to 25% of the original prototypes to match standard braille scale.